Ken and I have started on a new diet of sorts. The Mediterranean diet which basically is lots of veggies, fruit, chicken, fish and the occasional red meat. 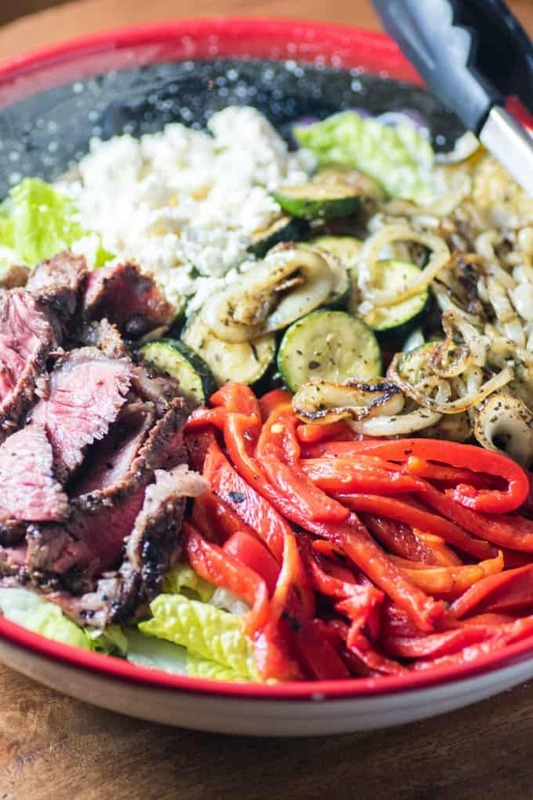 When I have a steak I absolutely love a really good one and made up into a Mediterranean Steak Salad like this one. Full on flavor and super healthy!! You can afford to get a really good steak and share it in the salad then if you are on a budget! So it is inexpensive, delicious and healthy, what more can you ask for? Spice up that steak well and cook it to medium rare to get the full flavor. Make your life easy and grab a jar of already roasted red peppers. The onions and zucchini are grilled up on the BBQ with the steak! A very simple red wine vinaigrette is the perfect dressing for this salad. It just brings out the flavors even more! 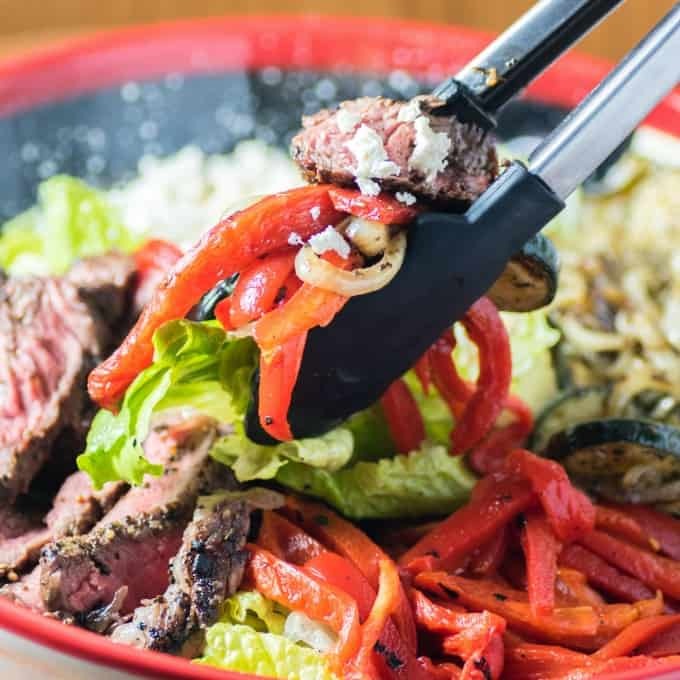 The steak, red peppers, onions, and zucchini with the feta are all laid on a bed of crispy romaine lettuce. Serve this up in a large bowl for everyone to help themselves. Great family style dinner!! It all comes together very quickly! This will be your go to salad for all spring and summer long! I know that I can’t wait to have it again!! There are lots of salads on the site already that are Mediterranean like a Mediterranean Lentil Salad, Mediterranean Tomato Salad, and Marinated Roasted Red Peppers. We have loved all these salads. They really take the ho hum out of a side salad and add a punch of flavor to your meal! Dust off that BBQ and get out there to make this simple dinner! 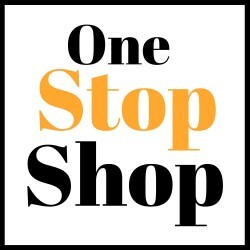 You will want to be making it again and again! 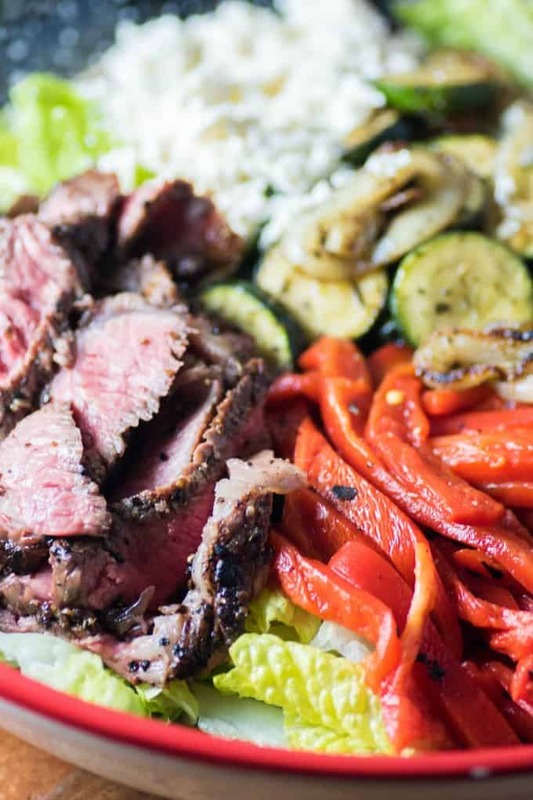 This Mediterranean Steak Salad is simple to pull together but is bursting with flavor! It also packs a punch of healthy ingredients into your diet! Whisk up the vinaigrette ingredients adding in the olive oil last and in a stream. Set aside. Slice up the onion and zucchini, toss with the tablespoon of olive oil and the Italian herbs. Cook the zucchini and onions in a BBQ wok on medium heat until tender, they will take about 12-15 min. Meanwhile, BBQ the steak over high heat to medium rare, let rest 5 min. and then slice. Lay the lettuce into a large serving bowl. Top in sections the zucchini and onion, roasted red peppers, steak, crumbled feta and serve the dressing on the side. Holy cow does that look good…literally delish! 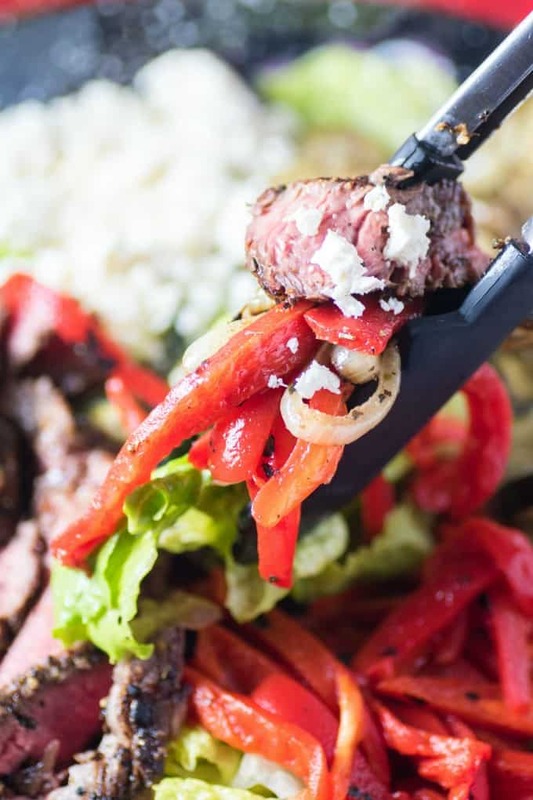 Steak salads are a fave or mine because you get hearty proteins with lots of flavor! I love this salad and it seems like a healthy boost and with the protein from the steak. I am sure anyone who is trying to eat healthier would like to make this style salad. Oh my goodness! I’m vegan but my husband, my husband is a cheating vegan and I’m here to tell you… he would love Love LOVE your Mediterranean Steak Salad. Absolutely love it! This looks delicious! I love the idea of grilling the vegetables with the steak. This made my mouth water just looking at it. Can’t wait to make it.